(Press release – April 24, 2014) – Net Entertainment, the world’s leading provider of high-quality online casino games, launches its latest branded slot Aliens™ for desktop and Touch™ portfolio. 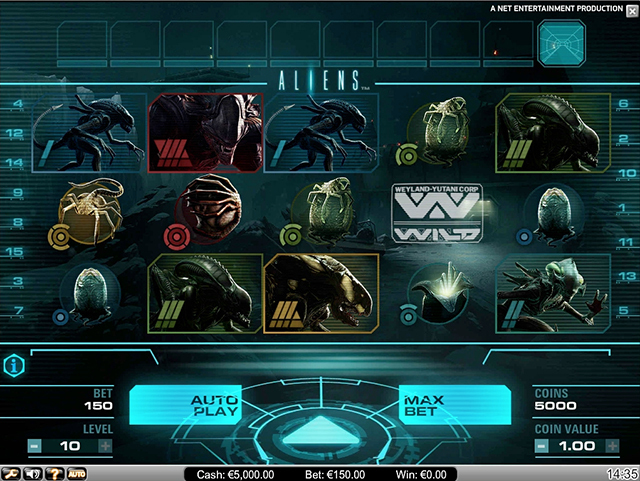 EuroSlots Casino :: Aliens™ video slot – PLAY NOW! Hatched from the cult sci-fi horror franchise, using innovative real-time 3D graphics, Aliens™ plunges players deep into space on a mission to shoot through waves of attacks in infested premises to reach the Queen Hive. 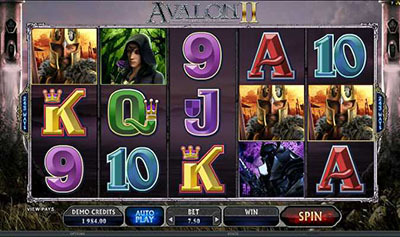 There are three thrilling levels to survive that feature re-spins, wild substitutions, collectable multipliers and a huge bonus win for eliminating the Queen to keep players battling to the gory end. The Search, The Encounter and The Hive make up the three stages and each one passed sets the scene for potentially huge wins. If the Queen is eliminated and the Hive destroyed then a 240 x bet is the ultimate reward. A first-hand view from the Marine’s helmet camera means players are completely submersed into the action and the stunning soundtrack attributes to the high intensity and tension that makes this offering the ultimate gaming experience. This 5-reel, 3-row, 15-line video slot joins Net Entertainment’s standout branded content portfolio that features Creature from the Black Lagoon™, South Park™, Scarface™ and Frankenstein™. “Following on from the successful Aliens™ unveiling at ICE, it’s a pleasure to announce players can now enjoy this epic game on desktop and mobile. 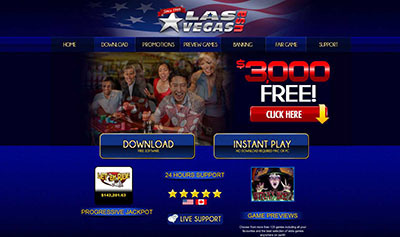 Real-time 3D graphics and rich sound help deliver a truly innovative slot that continues our mission to drive the online casino market through better games,” comments Simon Hammon, Chief Product Officer at Net Entertainment. Aliens™ :: You can try this NEW Slot game right now at the following casinos: ZonCasino, iGame Casino, Monte-Carlo Casino, Jetbull Casino, Unibet Casino, Vera & John Casino, ComeOn Casino, Mr.Green Casino, EuroSlots Casino, Tropezia Palace Casino and RedBet Casino.